Bluetooth is a short range wireless technology, which was first introduced by Ericsson Company in 1994 after its initiation in 1989. This technology operates in the ISM band, which is reserved for industrial, science and medical applications. This is a free band and does not require lengthy licensing procedures and fees. It operates in two frequency ranges – 2400 to 2483.5 MHz and 2402 to 2480 MHz – via the frequency hopping spread spectrum radio interface technology. Bluetooth transmission frequency band is divided into 79 Bluetooth channels to transmit the data packet. The latest version of this communication technology known as Bluetooth Low Energy or BLE accommodates 40 channels because it uses 2 MHz spacing guard band. Bluetooth Low Energy or BLE is developed by Bluetooth Special Interest Group BSIG for high energy efficiency and performance. This technology is commonly marketed as Bluetooth Smart technology in the marketplace. The devices enabled with the BLE technology can operate for many months even years on a single button cell/battery. BLE technology is very suitable for the internet of things (IoT). BLE technology can operates with a maximum speed of 50 Mbits/s up to an effective distance of 800ft (240 meters). Bluetooth technology has evolved through multiple versions since its inception. There are five major versions with its sub-versions released so far, as given below. 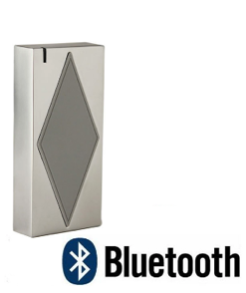 Like other short range wireless access control technologies, such as Zigbee and others; Bluetooth can also be efficiently used as an effective access control technology. The main applications of Bluetooth access control include home automation and access security systems. There are large numbers of software applications available in the market that can be configured – commonly known as profiling – on the Bluetooth enabled mobile phones to establish short range communication with the Bluetooth enabled proximity sensing devices. Other than those software applications, this technology can be implemented in an autonomous Bluetooth access control system too. In a normal access control system based on iPhone, you will need a proximity reader enabled with the Bluetooth signals. A software application is installed on the iPhone smart phone, and the application is then profiled for the access security use. When the smart phone is neared to the proximity reader, the application communicates with the reader and thus, exchanges the security key to authenticate and open the door lock. Similarly, in an automated and networked house or office, your phone communicates with the centralized access controller, which controls the door locks in a networked environment. The security key is authenticated and the authorized door is opened through the signals from the main access controller. The introduction of iBeacon protocol is another important milestone in using Bluetooth technology in more access control and security related applications. It can be extensively used in the applications pertaining to location finding, which subsequently will trigger a major potential of marketing services. Recently, iBeacon has been implemented in multiple BLE enabled devices that can easily communicate with the mobile applications in their respective ranges over Bluetooth technology. The power consumption of iBeacon transmitter is very low and can operate for many months continuously on a small battery. Amongst the backdrop of changing lifestyle habits to doing everything on mobile, there is now a general push within the access control market to go from cards to mobile too. With unlocking doors from mobile becoming an ability people expect to have, it is poised to become the main method of unlocking doors in the next few years. The latest example is a new generation of Bluetooth Low Energy (BLE)-enabled smart locks that are able to interact directly with the phone to unlock doors. Allegion has a range of such locks -- and for those looking to utilise the BLE function in their own Apps, they will be able to integrate the functions provided by Allegion. 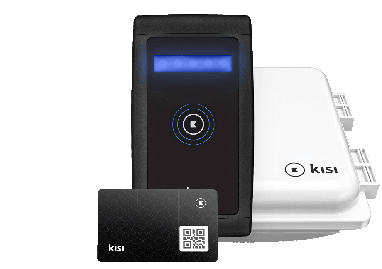 For those who would like to utilise BLE to unlock doors without building an app from scratch, Kisi is integrated with Allegion to enable just that. 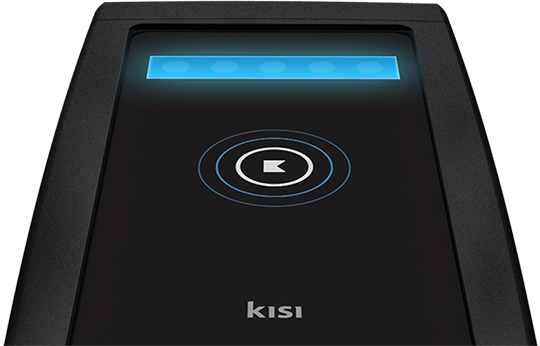 Users will be able to install Allegion door locks and unlock their doors through the Kisi app on their mobile. The best use-cases for BLE-locks are organisations looking for an access control security solution since these locks will be able to provide real-time communication and feedback. Among other benefits, this also means being able to grant or relinquish access immediately, and review real-time activity logs. Organisations with high traffic inflow and outflow will find such features most useful in streamlining their daily operations and strengthening their security. 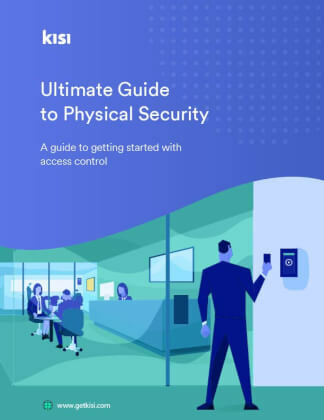 As users will be required to swipe in-app to unlock, this also presents opportunities for any facility or workspace management apps looking to drive usage and engagement of their apps. By requiring users to unlock doors through their app, the app will now become a daily necessity rather than a possibility. Access control over Bluetooth technology uses the mobile devices in association with the third party controllers and readers; this will reduce the hardware cost for this particular application. Only software profiling is sufficient to use your mobiles devices in different access control systems. With the advent of BLE technology in the market, this field has a bright future in this industry.